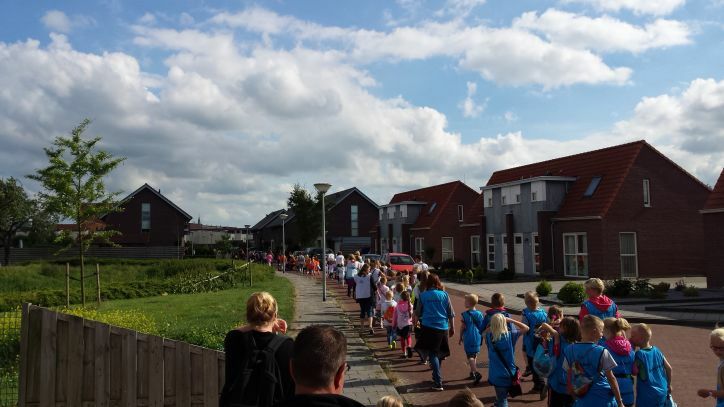 Today marked the second day of the Avondvierdaagse. Beautiful weather and less people meant everything felt much quicker! I also managed to snap a lot more pictures in order to showcase the walk more. If you are not aware what the this event is, I suggest you read about it and the beginning here. 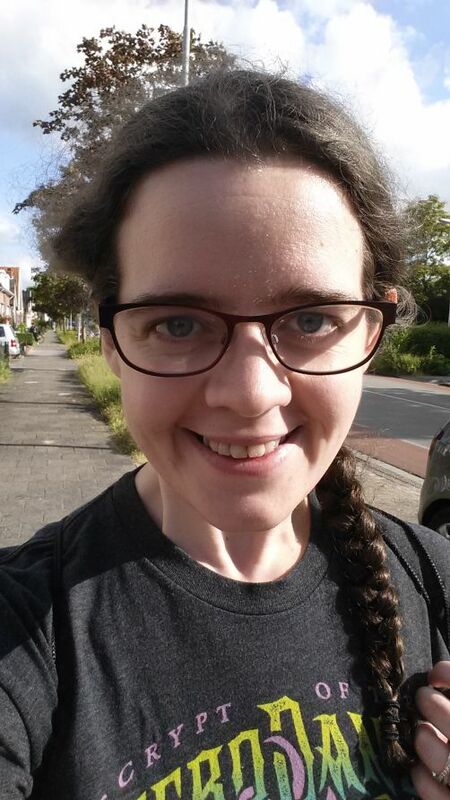 Avondvierdaagse Day 2 is complete, and now I can talk and share my experience! 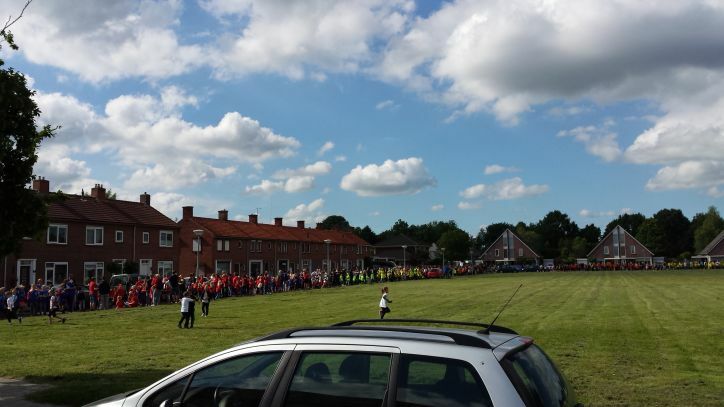 Groups of school children lining up to start the Avondvierdaagse. Just like day 1, my partner and myself finished dinner and headed over to Oma and Opa’s house. Compared to day 1 however, we did not go over as early. This meant we only needed to wait a short amount of time before his mother arrived. The weather for day 2 was beautiful. Much warmer than the first day, which would be lovely because we were to walk through part of city park today (not my normal jogging/walking route park). I was really looking forward to getting started. 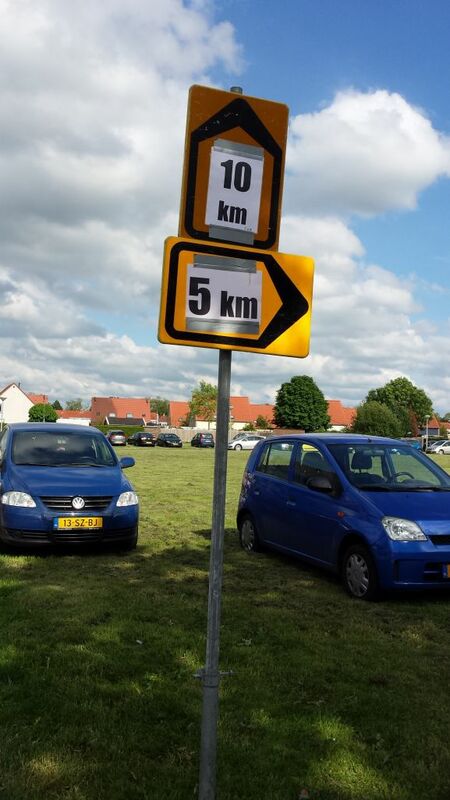 The starting point of the walk for the Avondvierdaagse! One thing I told myself about day 2 was that I was going to take more pictures. I did take a few pictures of us during the walk, but nothing else. 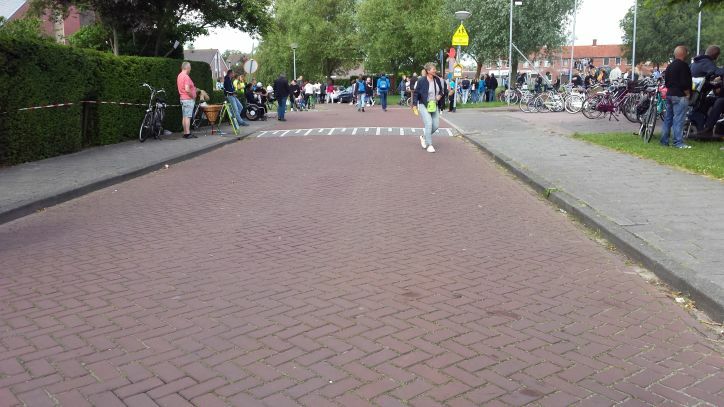 Since I know some people will never see the avondvierdaagse, I wanted to share more images of what it looks like. Sign pointing people in the correct direction. With day 2 well underway, we noticed that it was a lot quieter than day 1. Maybe this was due to it being the planned “rest” day for most, I really didn’t know. This made the walk feel a lot quicker. 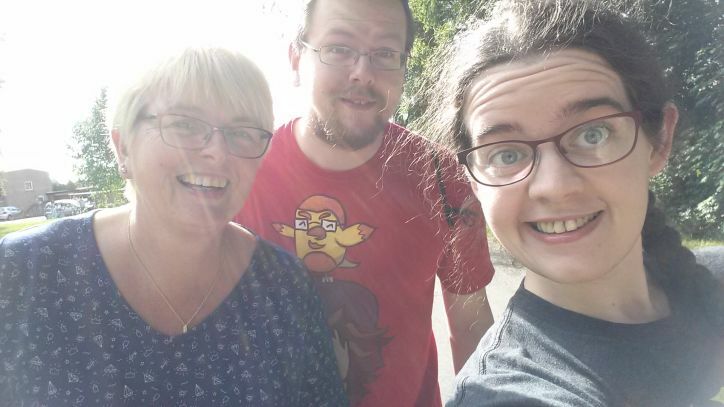 I honestly believe that the walk felt a lot quicker also because of the weather. Day one was a little bit chilly (nothing terrible though, fine walking weather) whereas day 2 was bright with beautiful sunshine and little to no wind. Made for a really lovely walk! Even though the walk felt quieter, there were still lots of children and groups participating. Hearing them chanting and singing and talking while walking was really heartwarming. Reminds me of the time I was in brownies or guides and we would sing songs together. The children would stop half way during the walk for drinks and snacks since 5km is quite a long walk for them. But for us, we just continued to walk. Dorky picture time! I COULDN’T SEE BECAUSE OF THE SUN! 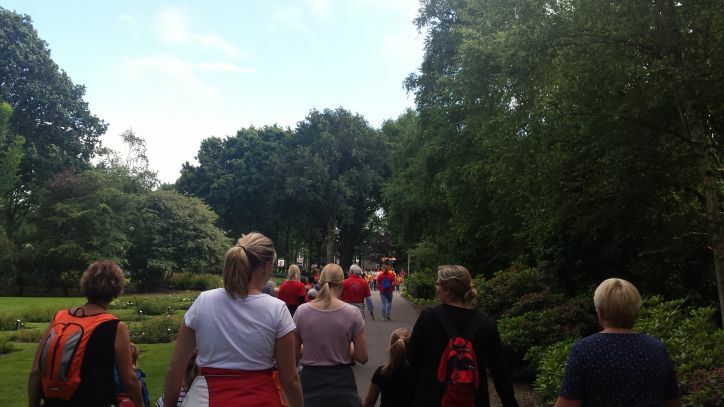 Day 2 of the walk took us through more urban areas of Winschoten, but what I loved was being able to walk through part of the city park. This park has a rosarium in it where beds of beautiful flowers are. The rosebeds were not fully in bloom just yet, but when they are, they are beautiful. From the park, it was a quick loop around and back to the starting area. For some weird reason, this walk felt way shorter and much quicker than day 1. I am positive that this was down to less people and nicer weather which allowed us to walk faster. 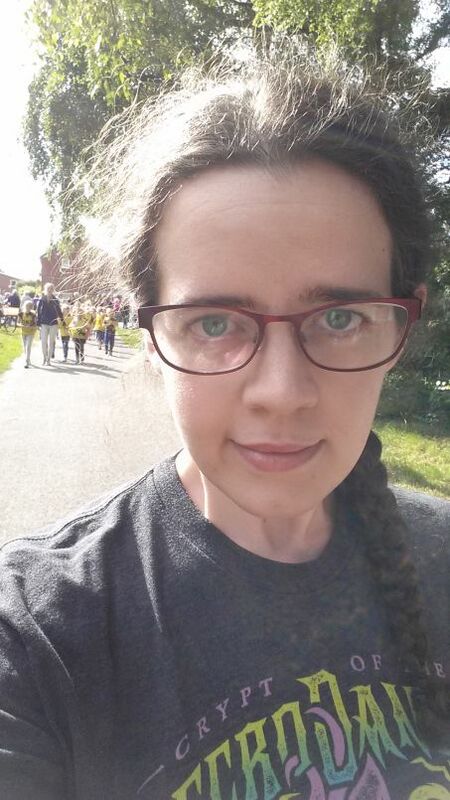 Rocking that Necrodancer shirt for the avondvierdaagse! Since everyone is allowed one rest day, Wednesday will be ours. This means that our 3rd walk will be taking place on Thursday. So that will be when the next blog will take place! I am looking forward to my rest day, but I am also bubbling with anticipation for the next day of the avondvierdaagse! Bring it on! Previous Previous post: The Avondvierdaagse has begun!